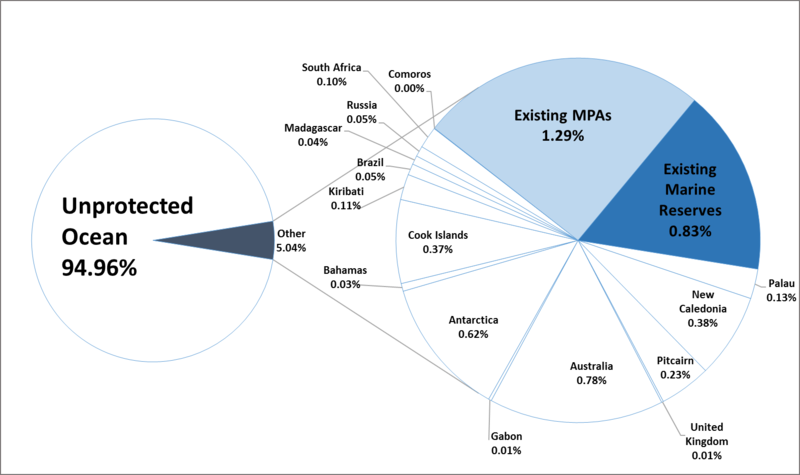 Only 2.1% of the world’s oceans are protected in marine protected areas, and globally only 0.8% are protected strongly in no-take marine reserves. From MPAtlas. I’m catching up on my reading of the November/December issue of MPA News, a newsletter that I highly recommend. The big headline is what’s being called “The Promise of Sydney”, which among other things, calls for 30% of the ocean to be protected under no-take marine reserves. I find this a fascinating idea, but struggle to imagine the technological and budgetary shifts that would need to occur to ensure that such large areas are truly protected.